Longtime LA radio shock jock Tom Leykis returns Monday, April 2nd at 3 PM Pacific time, uncut and uncensored, with a daily show produced specifically for internet distribution at http://www.blowmeuptom.com. Imagine having three years to learn as much as you can about new ways of doing things, about what is possible, as well as having time to relax and refresh. After 21 years of outraging Southern California drive time radio listeners, Tom Leykis left the air in February of 2009. And, as so often happens in the radio business, listeners were left wondering why he was gone and where he went. The answers will be found when Leykis returns for a new daily show after an amazing 37 months off the air when The Tom Leykis Show on April 2nd at 3 PM Pacific time. And this time, he’s taking no chances of being made invisible again by the brick-and-mortar terrestrial radio industry because the show will be heard live and on 24/7 streamed replays at http://www.blowmeuptom.com as well as through media players such as the TuneIn application for Android phones and iPhones, but not on radio. Leykis, who for 12 years was one of LA’s top-rated afternoon radio personalities on LA’s former KLSX 97.1 FM (and who for eight years was the afternoon counterpart to Howard Stern’s legendary morning show), suddenly left the air when the station’s owner, CBS Radio, decided for economic reasons to change the station’s format to top-40. So why didn’t Leykis, who had never in his career been out of work for more than a few months, simply go to another radio station and pick up where he left off? It was because he had signed a five-year guaranteed contract to provide his daily show and any potential streams or podcasts exclusively to CBS. The result was that, when KLSX changed format, Leykis was paid his full salary to do absolutely nothing from 2009 until March 31st 2012, which is one week from Saturday. “After taking a few months off, I took a good hard look at the radio business that I’ve loved since I was a kid and realized that it’s now in a world of hurt. Deregulation of the broadcasting business allowed companies that once owned a dozen radio stations to, within about a decade, own hundreds of stations,” Leykis says. So Leykis, as he has so many times in his career, decided to reinvent himself as an entrepreneur, creating his internet audio content company The New Normal (http://www.newnormalnetwork.com) in 2010. “Imagine having three years to learn as much as you can about new ways of doing things, about what is possible, as well as having time to relax and refresh,” he says. Tom Leykis (Twitter: @TomLeykis) sees another benefit too. “Because we don’t start with a mountain of debt, beholden to private equity groups or hedge funds, we can sell advertising at a far more reasonable price than a local radio station,” he says. “We are offering special rates to small and medium sized businesses that feel that they’ve been shut out from radio advertising over recent years by stations who need to keep pushing ad rates higher just to pay their Wall Street debt service,” Leykis says. The New Normal has set up a special phone number for businesses who are looking for an alternative to radio advertising: (818) 52-RADIO (527-2346). The New Normal LLC is in Burbank, CA. (818) 476-5454. Gary Zabransky is the contact person. 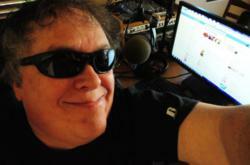 Tom Leykis Show website: http://www.blowmeuptom.com. The New Normal Network website: http://www.newnormalnetwork.com. Tom Leykis Show Facebook: http://www.facebook.com/tomleykisshow/. To listen: The Tom Leykis Show can be heard on the homepage of the website above, directly from the show’s Facebook page, or on apps such as TuneIn for iPhone and Android. New Normal Studios in Burbank are now available for B roll and other television or video coverage any time through The Tom Leykis Show launch on April 2nd.